Set of 2 wall art prints – Paris decor for living room. 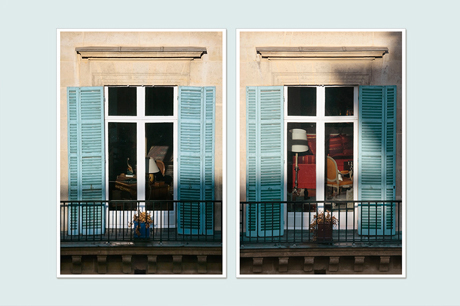 Windows of Paris in sunny day. View from Louvre at Rue de Rivoli. This diptych is printed on premium archival metallic paper with additional Matte finishes, which coats it from water, UV, fading and scuff damage and no need a glass protection.